on Sunday 19th May 2019. 1. This year, as last year, we will not be using a numbered ticket system for Members. 2. When an announcement is made that the Members Sales Area is open for trading, which is expected to be approximately. will be required to show their membership card to the steward. 3. Once members have completed their business, they are asked to leave the area to allow others access. Members with items to sell should check in on arrival if possible. If members arrive after the stand opening time with good to sell with no prior arrangement. – IT WILL BE AT OUR DISCRETION AS TO WHETHER OR NOT THESE ITEMS CAN BE INCLUDED. THERE IS A MAXIMUM OF 10 ITEMS ALLOWED PER MEMBER. would appreciate these lists two weeks prior to the event, where possible. 01767 682512 or (b) download one from this page. 4. If any item is heavily modified, or special in some way, a card should be attached to the item identifying the speciality. 5. 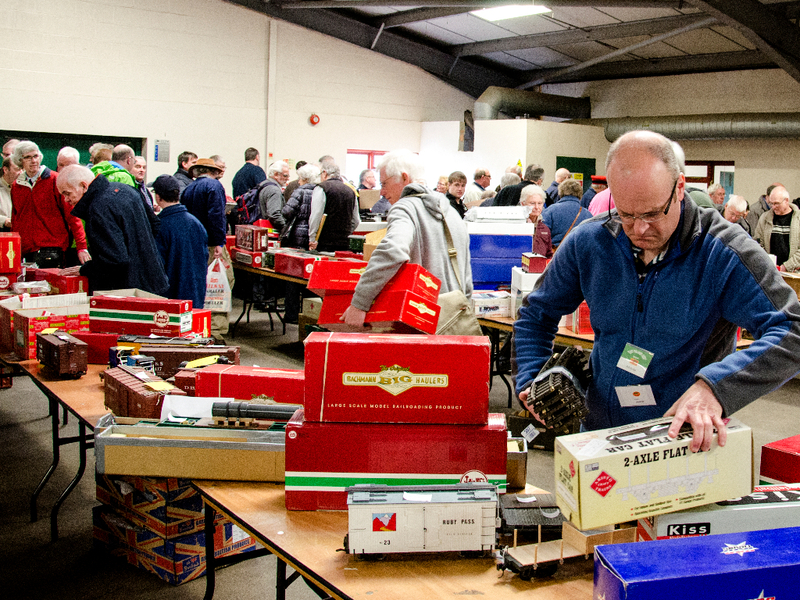 Only G Scale items (or equivalent) should be submitted for sale, non-G and non-railway items do not sell and take up space. 6. All locomotives should be operational, unless clearly marked ‘for breaking’ or ‘for spares’ etc. 7. No faulty electrical items will be accepted for sale. it is necessary to make price adjustments. 9. Purchases are to be paid for with cash or cheques (supported by a guarantee card) ONLY. 10. The Society takes 10% commission on all sales, to go to the general fund. 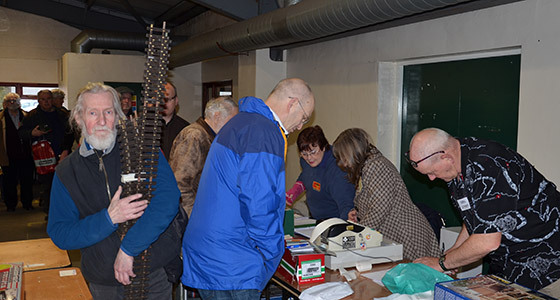 Finally, no items purchased from the Sales Room is to be offered for sale on a trade or exhibiting layout on the day of the Show.